Saint Therese is a powerful force. She is the patron saint chosen for my sister's workplace, Word on Fire, and she is a personal favorite. 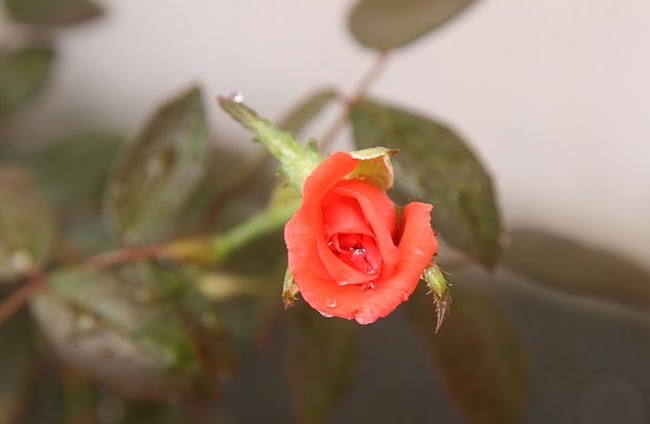 In her short life, she claimed, “When I die, I will send down a shower of roses from the heavens; I will spend my heaven by doing good on earth.” And, she has. I have always called on her in important times...for our annulment, for our second child's speedy delivery (when it appeared something was wrong during labor), for my brother's annulment, and a few other things. Taking my petitions to the Lord, she has never failed. So why would I fail to call on her again? 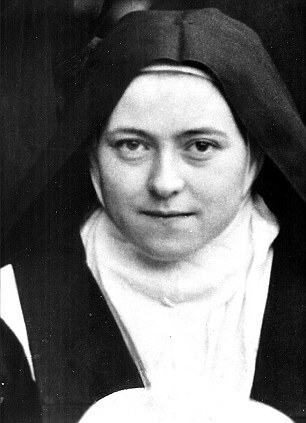 This September, Pray More Novenas, sent out emails nine days before the feast of St. Therese. So, I began my prayers for two very specific petitions. On the Saturday before her feast day, I walked out of evening Mass (along the same path I took walking in). Right in front of the statue of St. Francis of Assisi was a rose. It was growing from the ground, singly. Not a part of a bush, but one single, beautiful poppy-colored rose. The most beautiful rose I have ever seen. At that moment, my heart was at ease. I knew that God's will would be done and that my prayers had been heard, regardless of how they were answered. On October 31, Sean asked RoRo to marry him. I've already talked about it a few times, but this is such an incredible answer to prayer. I know parents pray for their children to find someone who will help them to Heaven. Sisters pray for that, too :) Sean is just that man for Rozann. And, Rozann is that for him. 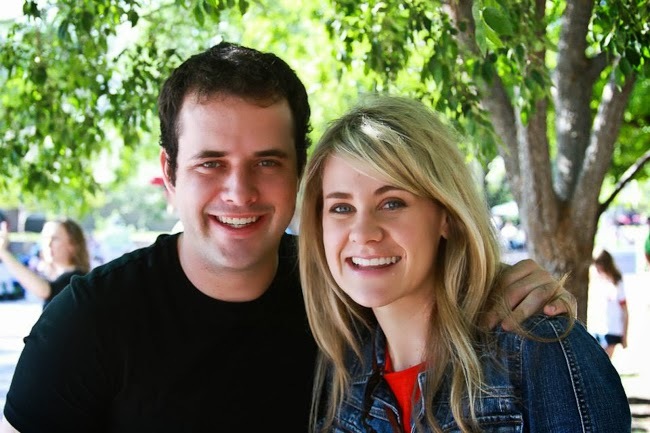 A Godly, selfless couple...and a force for Christ. 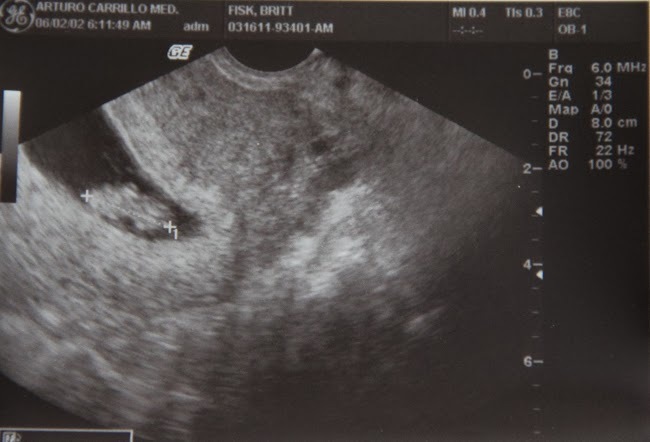 who will join us in this world (God-willing) in early June. May we always be open to at least one more soul. Oh Britt! Congratulations! And wow, that's such a wonderful story for the power of prayer and intercession! Hope you're feeling well too! What a month full of great news for you family. Congratulations to your sister and to your whole family! Little Flower!! Look at her go! I am so so happy this news is out for you-- all the more prayers headed your way. Thank you for all your prayers for Sean and I!! We are so grateful and so so happy. And PS, world, is my sister not the best thing ever?? I mean, let's be real. Congratulations on your blessing!! Also, congrats to your sister marriage is an amazing experience. And I agree St. Therese holds a special place in our heart because she was the patron saint at the church where we were married. She is an amazing saint. You are such an amazing mom and I love reading about your wonderful family. Thank you so much! I am thrilled for my sister -- it is going to be an amazing year of blessings. Oh, I just love Saint Therese - she is powerful, isn't she!? You are way too kind. Thank you. Best blog you've ever written. I could not be happier about both of these miracles (and the fact I don't have to worry about spilling the beans anymore!!) Baby Therese (or Rose)?? So excited for you, sweet friend! Whoop! And Rozann, yes she is pretty dang awesome. Congrats! I'm here for the first time today from Hallie's. What a treasure of a post to find! Many many congratulations to you and your lovely family. And your blog is so beautiful! I'm a country girl living in the city for the time being and I'm loving the glimpses of your ranch life! Oh Britt!! I'm so happy your family is growing again! Congratulations!! Oh my beautiful friend...HOW EXCITING!!! I am so happy for y'all, and I adore reading your precious words. You truly bless me more than you could ever know. Love you! How amaaaaaaaaazing!!!! SO excited for you and your family, Britt!!!! Such a beautiful post... congratulations all around! So happy for you!!!! Congrats, the world needs more of your beautiful little ones, little flowers they are. Oh, such a beautiful story!! I love to hear positive stories of the saints working in people's lives. I'm very excited for you and your family with your recent announcement - the Fisk Family is growing beautifully!! Congratulations! I'm a little behind on my readings this week!! So excited to hear of your new blessing! Ok, how did I completely miss that you're pregnant?! Yay!! It's so exciting how many fellow bloggers are pregnant right now :) I just love it.